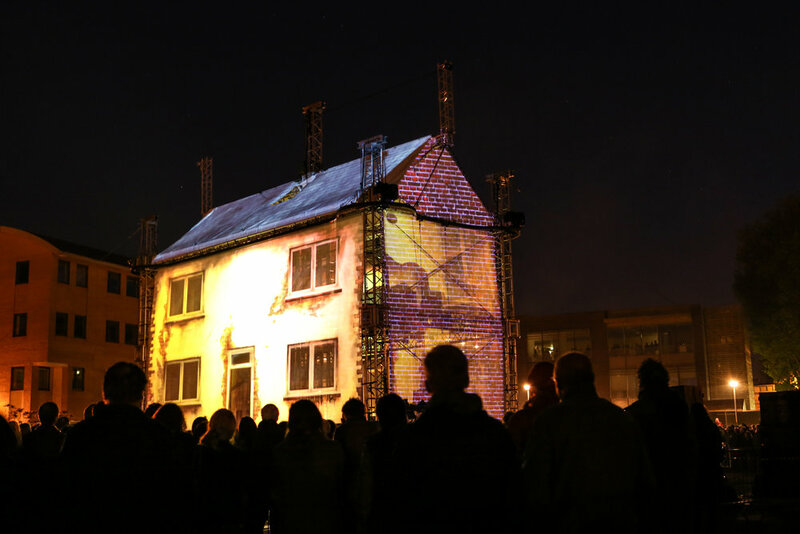 SAFE HOUSE: A spectacular large-scale outdoor performance that explored the significance of home and the importance of being part of a community. As night fell our mysterious house dramatically came to life. A figure appeared on the roof and began to share its story. Over the next 40 minutes we witnessed a family moving in, a child playing within its walls, a teenager desperate to escape and an old lady who could not leave. 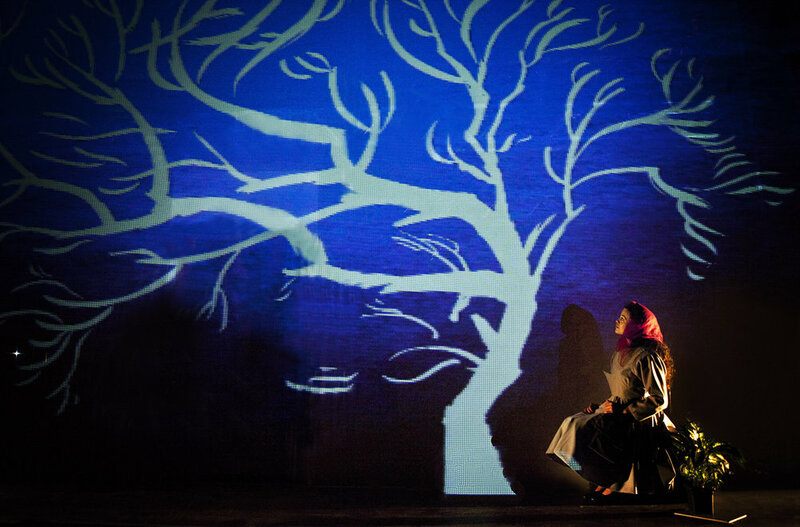 Using large-scale projections and aerial performance, the house dramatically transformed into a variety of breath taking visual backdrops. SAFE HOUSE explored the emotional space that lies between HOUSE and HOME, and followed one person's journey to find a place to call home. The spectacular finale combined aerial performance with an exhilarating quick frame animation of hundreds of photographs taken by local participants.